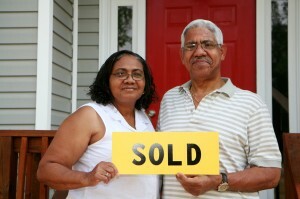 We Buy Houses In Catonsville, Maryland In Any Condition, Price Range, Or Location FAST! Get Rid of Your Problem Property Pronto! Feeling at a loss on how to get rid of your problem property quick? We have a speedy solution we think you’re really going to like. How about we make you a fair cash offer on your house and have a check in your hand in as little as 5 days? Well, it’s about to get even better. Not only can we get you cash for your unwanted property fast, we’ll buy it as is. It doesn’t matter if there’s major damage to the property, if it’s filthy, or if it’s filled with unwanted stuff. We don’t care how unbecoming your house is, where it’s located, or what price range it’s in. We’ll take it off your hands. That means you don’t have to take care of any repairs or cleaning, or haul stuff to the dump. We’ll do all that. And we’ll give you a really fair price. When we say we buy houses in Catonsville, Maryland fair, we mean it. Yes, we’re going to make money on the sale—that’s how we profit. But we’re going to be straightforward every step of the way, and we’re not going to give you a low-ball offer. In fact, we’re known for making better offers than other buyers in the area. If we think it makes more sense for you to sell your house to a realtor, we’ll tell you so. We’ll even refer you to a good one. We also recommend that you shop around before accepting our offer so you can be sure you’re making the right decision. 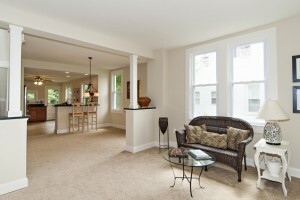 When we say we buy houses in Catonsville, Maryland fast, we mean it. While it typically takes 45 – 60 days to close with a real estate agent, we can close in less than three weeks and as fast as five days, if necessary. Since we buy with cash there’s no waiting around for banks. Trying to sell a problem property the traditional way often doesn’t work. It can become a completely stressful – not to mention, slow – endeavor. As we mentioned earlier, it typically takes 45 – 60 days to close with a real estate agent. That’s because there are a lot of things that can tie up the process. There’s time involved in marketing and showing the house. And once there is a potential buyer, there’s the constant back and forth communication between all parties involved, which often leads to confusion. There are home inspections and appraisals. There are often long fix-it lists. And there’s the possibility of a loan falling through or the buyer backing out at last minute. Save yourself the agony. Let us show you a better way…. When you sell your property to us you don’t have to pay commission or other closing costs. You don’t have to worry about having a bunch of people roaming through your property and potentially stealing your stuff. You get a GUARANTEED offer. We buy your house with cash, so there’s no waiting on banks. We buy your house as is, so you can get rid of your fix-it list. You don’t have to clean or haul stuff to the dump either. Not only do we not care what kind of state your property is in, we don’t need to know why you’re selling it. We close when you want to close. In short, with us, you’re in the driver’s seat. If you want to get rid of your problem property as soon as possible without a bunch of hassle, all you have to do is fill out our no-obligation information form below. We’ll get back to you within 24 hours with a fair cash offer. Or, if you would prefer to speak to someone in our office first, just give us a call now at 410-696-4321. We’re happy to answer your questions.